Take advantage of another sweet exclusive discount for the holiday weekend – 1 day only get 20% off every Nocturnal Prototype graphic t-shirt. Use code: SPECIAL20. Click HERE to browse the entire Nocturnal Prototype library of custom graphic t-shirts and find the perfect gift of wearable art. Hurry, this coupon code expires on Sunday, November 30 at 11:59PM. 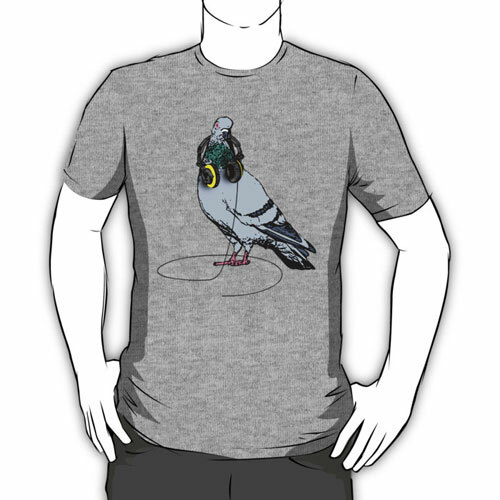 Try our top selling graphic t-shirt – Techno Pigeon and feel the beat at 150 bpm. Enjoy!